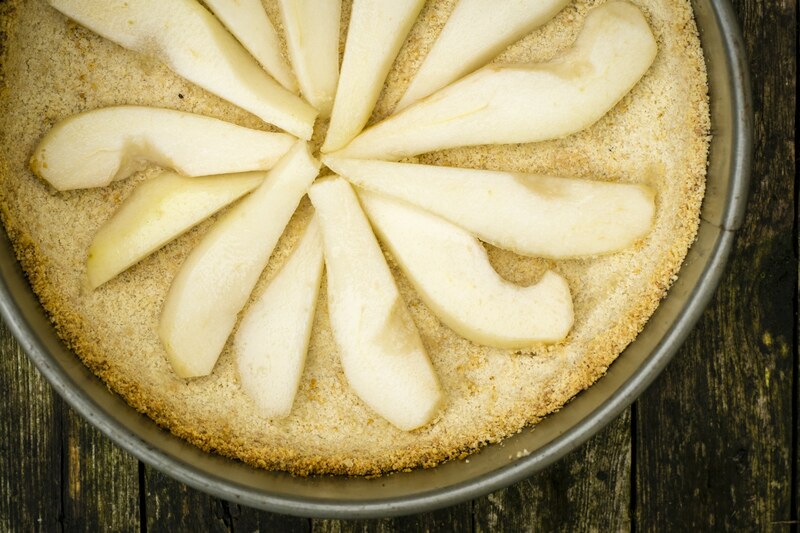 I am so happy with the result of this vegan guilt-free chocolate and pear tart, it is so perfect, so simple to create and mainly so delicious! I have been looking for a very long time for a good healthy recipe that could help recreate a pastry tart with pear and chocolate ganache. 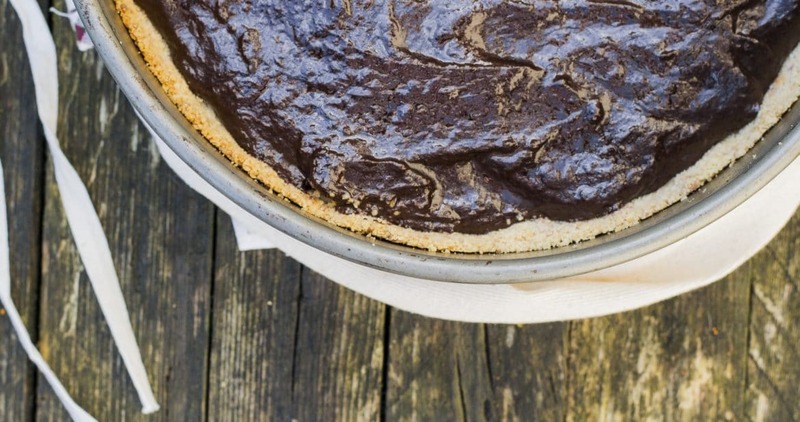 When I think of my vegan guilt-free chocolate and pear tart I can’t help but feel surprised by how easy and healthy it is – and at the same time how good it tastes. Mind you, it’s a very rich tart but knowing what is inside it makes it totally guilt free. 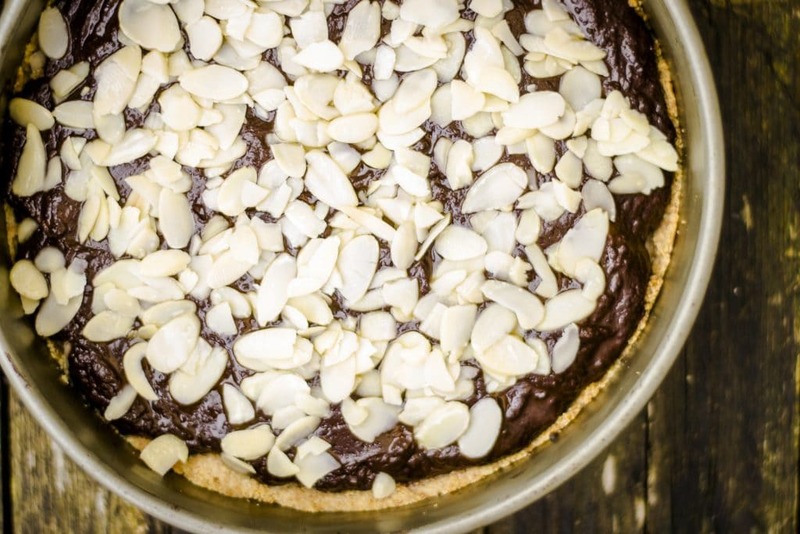 For my recipe, I got inspired by this dark chocolate and almond tart recipe (I am eternally grateful for it!). When I first read it on The Little Green Spoon‘s great website I said to myself: wouldn’t this be gorgeous with some pears hidden beneath the chocolate? And as I really like the chocolate and pear combination I immediately tried it with great joy of all the family. The great surprise is the base. It really reminds of a buttery pastry but it has only two tablespoons of coconut oil, and it’s both sugar-free and gluten-free. I will definitely use it again for other recipes. You don’t even need to put beans on it when you bake it as you must do when baking a butter pastry shell. This base will maybe puff a bit but when cooling down will be in perfect shape! Sorry, I don’t have a story to tell this time but just a genuine desire to pass you my delight in having succeeded with this amazing tart. If you like dark chocolate like we do, don’t wait too long and try this vegan sugar-free chocolate and pear tart, it’s so easy! Add it to the ground almonds. Add the 2 tablespoons of maple syrup and combine the three ingredients together. Grease your 20 cm diameter in with a bit of coconut oil and dust it with some ground almonds. 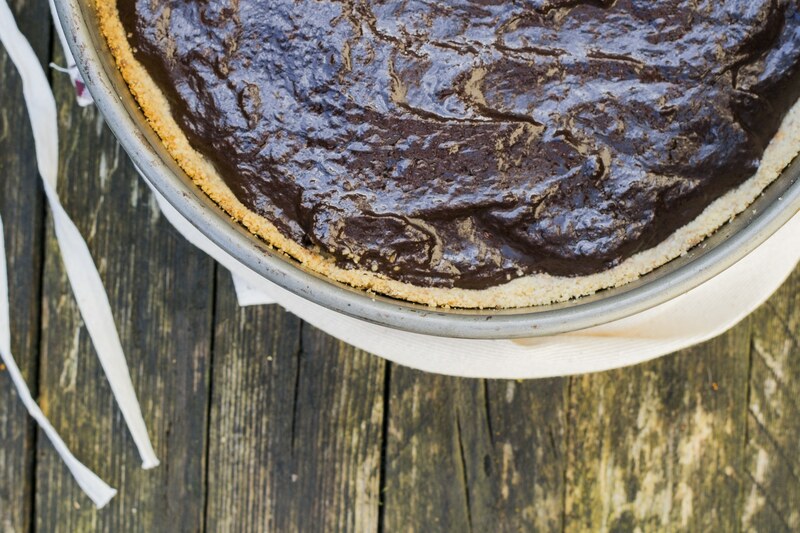 Place the mixture of ground almonds syrup and coconut oil in the tin and press down firmly to form the base of the tart. Leave a couple of centimeters for the sides. Bake for 10 to 12 minutes until lightly golden. Place chocolate, coconut cream (you’ll have it by scooping the solid part that stays on the top of a coconut milk tin that you previously put in the fridge, or like me in the shed!) and maple syrup in a pot and melt on medium heat stirring constantly until it reaches a creamy consistency. Wash, peel and slice the pear. First in half and then lengthwise. 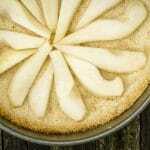 When the base is cooled lay the pear slices as sun rays on the base. Cover evenly with the chocolate mixture. Cover and place in the fridge for a couple of hours. If you like, decorate with almond flakes on top. You will need a 20 cm diameter tin.